Expensive tires, but works great, that's how it works u have to pay for quality. High quality tires, great performance. Will buy these again. Very good performance at all compartments especially dry grip is awesome. Tread wear is running out pretty fast if u have a spirited drive stile. My S-class is very stable with these tires on highway, doesn't make any noise at all, handling is great grip too, wet grip is great. 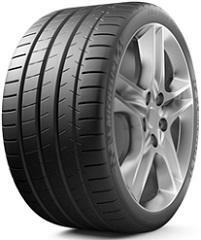 Very good tires for sure ultra high performance. Very good for sport car, great traction and breaking, especially for my car almost 500 up, feels very safe at high speed too, like them! Well my car have about 500+ HP so my driving style its pretty spirited and i drove like 7k miles and tires condition are still pretty good! Still the best tires i ever had!